After the September release of their Drag City debut — and second album of 2015 — 1000 Days, South California stoner rockers in Wand offer a whimsical take on their song, “Sleepy Dog,” with a video that follows the non sequitur journey of a black, wide-eyed pooch. 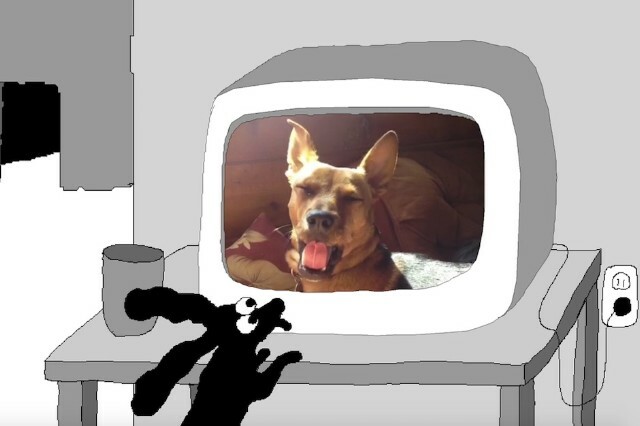 The video’s comic-like black outlines of shapes and characters are jagged and jumpy, reflecting the tenebrous bass line and buzzing drone of guitar redolent of the Thee Oh Sees. The track’s stark tone of harsh modulation is complemented by rare splashes of color that spill into a world of black and white. Watch the mostly monochromatic video for ‘Spooky Dog’ below. And check out their upcoming tour dates below that, if 1000 Days is any indication, their live show should be something special.